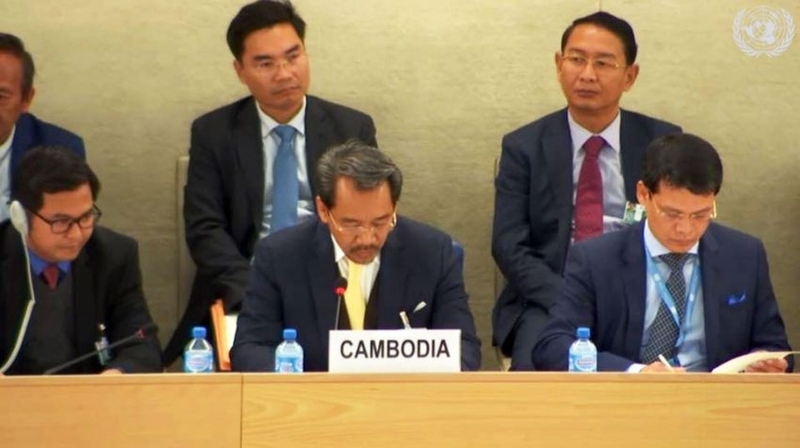 On 30th January 2019, Cambodia’s human rights record was reviewed by the UN Human Rights Council in Geneva. CIVICUS and its partners CCHR, ADHOC, Solidarity Center, and IFEX had made a submission on civic space issues to the council in 2018. At the review, concerns were raised on a range of human rights issues. The Cambodia government received 169 recommendations from members states with at least 38 recommendations related to freedom of expression, peaceful assembly, association and the protection of human rights defenders. On 12th February 2019, the European Union (EU) officially launched the process that could lead to the suspension of Cambodia's valuable trade privileges over human rights concerns, paving the way for a move that could negatively affect the economy. The Everything But Arms (EBA) trade scheme allows Cambodia to export products other than weapons to the EU at reduced tariff rates. Cambodia will now have 12 months to address these issues before a final decision is made. In January 2019, Prime Minister Hun Sen has threatened to retaliate against the opposition if the European Union withdraws this duty-free trading access. On 16th January 2019, the authorities arrested Kong Mas, a political activist from Svay Rieng province after he posted a Facebook message saying the European Union plans to impose a tariff on Cambodian rice. Kong Mas, a member of the banned Cambodia National Rescue Party (CNRP), was reportedly taken into custody at a coffee shop in the capital Phnom Penh by around 10 officers accompanied by a government prosecutor. Speaking to Radio Free Asia, CNRP activist Sun Makara said that ‘the arrest of Kong Mas was politically motivated’. He called the opposition activist ‘a brave man unafraid of intimidation by authorities’. According to news reports, on 19th January 2019, Kong Mas, was charged for ‘incitement’. Incitement is a broad and vague charge often used to imprison regime critics and carries a prison sentence of six months to two years. On 10th January 2019, more than three dozen journalists published an open letter calling on the Phnom Penh Municipal Court to drop all charges against two former Radio Free Asia (RFA) reporters who have lived under police surveillance for more than a year while awaiting a trial for 'espionage'. As previously documented, the two journalists, Yeang Sothearin and Uon Chhin. were arrested on 14th November 2017 and charged under Article 445 of the Criminal Code which pertains to providing information to foreign states or agents that could 'undermine national defence'. No evidence to support the charges has been made public. If convicted, they could face seven to 15 years in prison. In August 2018, they were released on bail after spending 280 days in pre-trial detention. Chhin and Sothearin are barred from changing their addresses or traveling abroad and must check in with their local police station once a month. RFA closed its bureau in Phnom Penh in September 2017 amid a growing crackdown by Prime Minister Hun Sen’s ruling Cambodian People’s Party (CPP) on the political opposition, NGOs and independent media ahead of national elections in July 2018. On 11th February 2019, a man was jailed for three years for insulting the king in Facebook posts and ordered to pay five million riels (USD 1,250). This is the second known conviction under a 'lese majeste' law enacted in 2018, which rights groups fear could be used to stifle dissent. As previously documented, Ieng Cholsa was arrested in July 2018 for Facebook posts made in June 2018, which the court found had insulted King Norodom Sihamoni. Article 437 of the Criminal Code on 'insulting the King' states that 'the use of words, gestures, writings, sketches or objects which undermine the dignity of a person constitutes an insult'. Those found guilty could face between one and five years in prison and a fine of between USD 500 and 2,500. On 24th January 2019, six villagers were arrested, and one was left critically injured after authorities fired on a protest against the forcible eviction of residents from their land in Kokir village in Preah Sihanouk province. Villagers had erected barricades of burning tires to stop armed police who were attempting to evict them, following a Supreme Court decision to grant their land as a concession to a wealthy businessman. According to witnesses, as the police advanced they began firing their weapons at the villagers. While many fled, some also tried to fight off the police. In the end, at least one person 28-year-old Pov Saroth was critically injured from a bullet wound to the chest. He was left bleeding on the ground for some time before being taken to Preah Sihanouk Provincial Referral Hospital. Others suffered injuries after being beaten by the police and six people were arrested. After the eviction, the police reportedly destroyed their houses and plantations. Human rights group LICADHO reported that on International Human Rights Day, on 10th December 2018, the Phnom Penh municipality banned a planned march saying that it was a threat to “security and public order”. It also threatened legal action if the organisers went ahead with the march. Celebrations went ahead nonetheless amid a heavy police presence at a government-approved location four kilometres from the city centre. Security forces wearing crash helmets outnumbered participants and cordoned off the square. Hundreds of garment workers, farmers, teachers, trade unionists, community representatives and youths attended the event at the so-called “new” Freedom Park in Russey Keo district. There were also restrictions in other locations. In Ratanakiri, youth groups and communities reported repeated harassment from the provincial governor's office, including demands for written requests to hold an event and threats of arrest if certain conditions were not met. In Banteay Meanchey, authorities stopped almost 300 villagers from joining a gathering in Serey Sophorn City. They were told they needed letters of permission from district and provincial authorities to attend the event. On 25th December 2018, ninety-five NGOs issued a joint statement condemning the convictions of six union leaders for their roles in a minimum wage protest at Veng Sreng Boulevard in Phnom Penh in 2013. They called for the convictions against the six to be immediately quashed. Ath Thorn, Chea Mony, Mam Nhim, Pav Sina, Rong Chhun and Yang Sophorn were each handed two-and-a-half year suspended prison sentences by the Phnom Penh Municipal Court on 11th December 2018 and ordered to pay compensation of 35 million riel (USD 8,750) to two victims, Chea Sophany and Tim Vuthy. The four original charges against the union activists – intentional acts of violence with aggravating circumstances; intentionally causing damage with aggravating circumstances; threats to destroy property followed by an order; and blocking public traffic – had all been changed to charges of instigating the acts. On 27th November 2018, Human Rights Watch reported that Cambodia’s interior minister had rescinded Notice No. 175, which requires CSOs to notify local authorities three days before conducting any activities. In October 2017, the Ministry of Interior (MoI) had issued a letter that instituted the notification system for all activities undertaken by CSOs. It was sent to provincial and district governors requires all associations and CSOs to inform either the MoI or local authorities of the type of activity they plan to undertake in a specific territory or province at least three days in advance of the activity. In December 2018, the National Assembly unanimously approved a proposed amendment to Article 45 of the Law on Political Parties in a move that could pave the way for former senior opposition leaders banned for five years to return to the political stage. Currently, under the law ‘an individual whose political activities have been suspended by the court cannot form a political party, join a political party, compete in elections or act to support or oppose a political party.’ However, the amendment now adds that 'an individual whose political activities have been suspended will be able to officially have their full political rights returned after the ruling of the Supreme Court has expired or in the case that the individual’s rights are reinstated by the King after a request from the prime minister as proposed by the interior minister’. As documented previously in November 2017, the Supreme Court in Cambodia ruled to dissolve the Cambodian National Rescue Party (CNRP), effectively ending the main political opposition to Prime Minister Hun Sen in Cambodia. In addition to disbanding the CNRP, the ruling also barred 118 of its senior political officials from conducting any political activity in Cambodia for at least five years. The Supreme Court also noted that it will not permit an appeal to the decision. The leader of the CNRP, Kem Sokha, was arrested on charges of treason on in September 2017 and is currently out on bail and faces restrictions on his movement and communications.